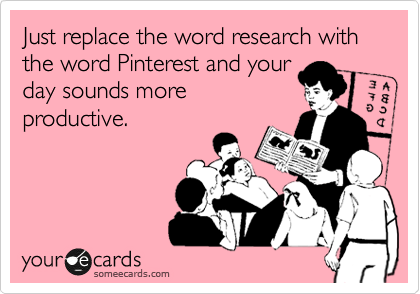 "Just replace the word "Pinterest" with the word 'research' and your day sounds so much more productive." This is what I'm going to do from now on. Mr. Mia: "What did you do today?" Me: "I did a lot of research. I'm exhausted."